A very pretty summery sea star pendant. 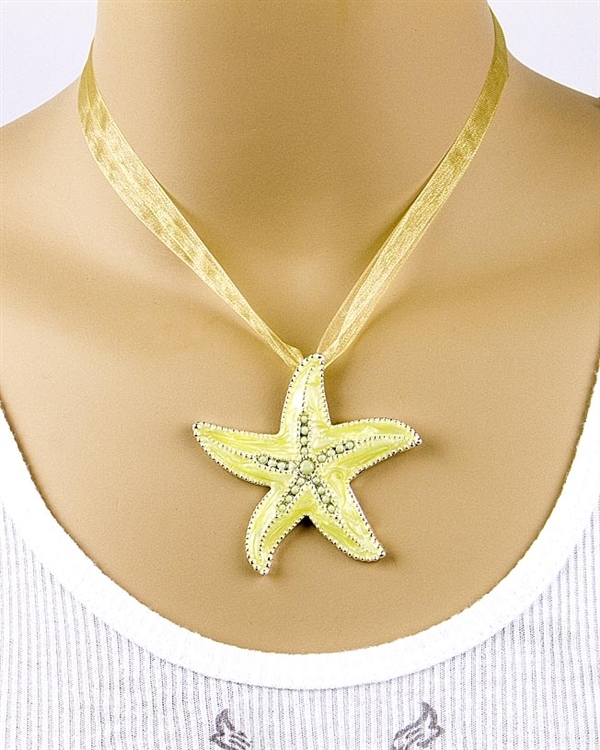 Large Lime Sea enamel sea star with beads, hangs in the center by two organza ribbons. Wear it with your favourite jeans or with your bathing suit! Ribbons length: 41cm / 16". Extender 5cm / 2"